The Raleigh Lore iE is built for speed and redefining what it means to run gauntlet of crosstown traffic. 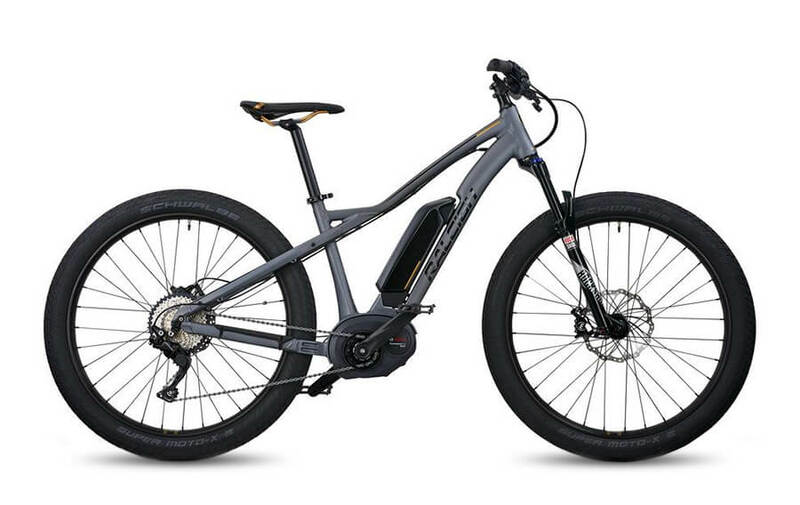 With the Bosch Performance Line Speed motor ‘under the hood’, it can maintain average speeds upwards of 25mph without breaking a sweat, and the combination of 27.5-inch wheels with Plus sized tires keep you tracking confidently down the rough and tumble urban streets and trails. The RockShox Judy suspension fork lends an added measure of control and comfort as you tackle challenging terrain and adds to the sense that the Lore iE truly is an e-bike for the ages. 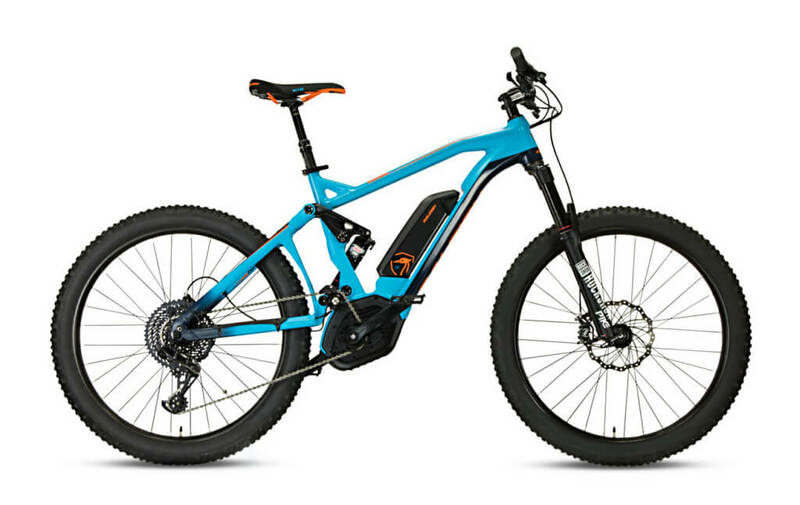 Frame: The Raleigh Lore iE features a 6061 T6 hydroformed aluminum alloy frame. It has a high strength to weight ratio and is highly resistant to corrosion. Also features a cable inlet system giving the bike an elegant solution for routing the wires and cables. Brakes: The Raleigh Lore iE is equipped with Magura Fifty4 disc brakes and it has 203mm front and 180mm rear rotors. It provides very reliable stopping power, these brakes are low-maintenance, and easy to control. Drivetrain: The Raleigh Lore iE features a Shimano Deore M6000 drivetrain with a wide range of 11/42 teeth and a Shimano Deore M610, 10 Speed Shifter. 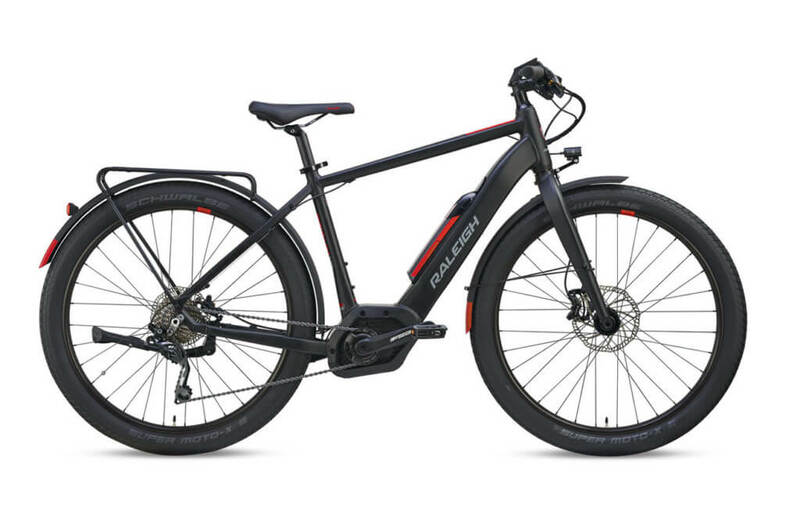 Top Speed: The Raleigh Lore iE provides speed with a top speed of 28mph. With the Bosch Performance Line Speed motor ‘under the hood’, it can maintain average speeds upwards of 25mph without breaking a sweat. 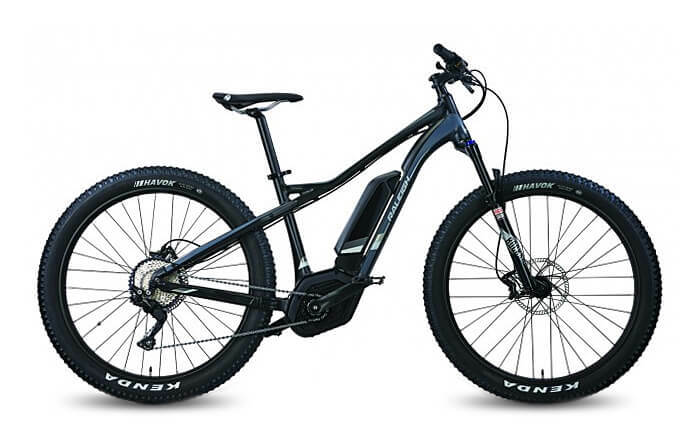 Bosch Performance Speed motor provides pedal assist to 28mph!